We stellar bio-labs, looking for dynamic hard working officials from all over India, who can take up Franchise of our company on Monopoly basis, and grow with us. Omega 3 fatty acids are those “good fats that your body needs. Being one of the essential fatty acids, you need to supplement them adequately through natural resources. 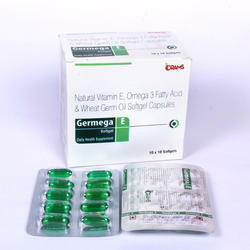 We are offering E Cod Omega to our clients. 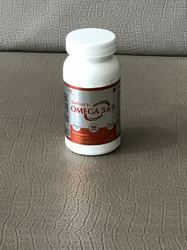 OMEGA-3 has been scientifically proven to provide EYE, BRAIN, HEART maternal health benefits.Omega-3 are essential fatty acids, which are important for good health.As your body doesn't naturally synthesizes omega-3 they must be supplied in the diet. New and improved Forever Arctic Sea® now contains a proprietary blend of DHA-rich Calamari Oil, ultra-pure Omega-3 Fish Oil and High Oleic Olive Oil. This unique blend is exclusive to Forever Living and provides not only 33% more DHA per day, but creates the perfect balance of DHA and EPA for optimal health and wellness.